You are here: Home / Misc. 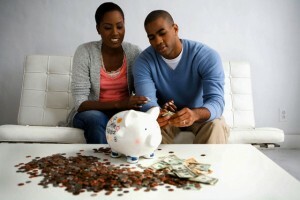 / Black History / Easy Ways To Make Your Money Go Further Around The House. Easy Ways To Make Your Money Go Further Around The House. (ThyBlackMan.com) Although we’re clear of the last global recession, you may still want to save money around the house. Although we’d all like more money in our pockets, finding ways to save can sometimes feel pretty hard. If you’re struggling to save money, there are a number of things you might not have thought of. Here are some tips to help you make your money go further at home. Start off by looking at any regular payments. You’re likely to have certain things you have to pay for on a monthly basis. This will include insurance, utilities, and so on. I’m sure you’re already under constant pressure to choose the right cable TV, high-speed Internet and digital phone bundle for the family’s needs. It may surprise you, but most Americans could be getting a better deal on these monthly costs than they currently have. Go through each of your regular payments, and shop around, looking for other providers and options which will give you a cheaper deal. You might have to sacrifice some luxuries, true. However, if you look to shave just a little bit off of every cost, you’ll barely feel the effects! My next tip is to form a rigid grocery list and stick to it. If there’s one wasteful sin almost everyone is guilty of it’s impulse buying. Take a moment to think. I’m sure you can remember a recent time when you’ve been doing your weekly grocery shop, and bought something you don’t really want or need. If you can get yourself out of this bad habit, you’ll be absolutely staggered by the amount of money you’ll save for your household. The next time you go shopping, make a point to get the things on your list and nothing else. When you see the reduction at the tills, you might wonder why you never did this before! If you know you don’t have an issue with impulse buying, then you might be able to save by buying cheaper brands. The quality is generally lower, but I’m sure you can find some changes you and your family can put up with. My last tip will not only save you money, but could also improve the health of your entire family. Avoid getting fast food. Plan more nutritious meals and make sure you stick to them. Despite what all the ad campaigns say, fast food isn’t that cheap in the long run. Aside from that, a lot of it is a step away from poison! I know that when you’ve had a hard day at work, it’s easier to swing by McDonald’s rather than go home and start chopping ingredients. If convenience is the issue, then maybe you should start looking for simpler recipes. There are many nutritious meals out there which don’t require much preparation, and are much cheaper than burgers! Bring these tips into your household, and you’ll notice the savings immediately. Your personal finances may feel a little chaotic at the moment. However, it doesn’t take long to isolate where you’re spending too much and fix it!